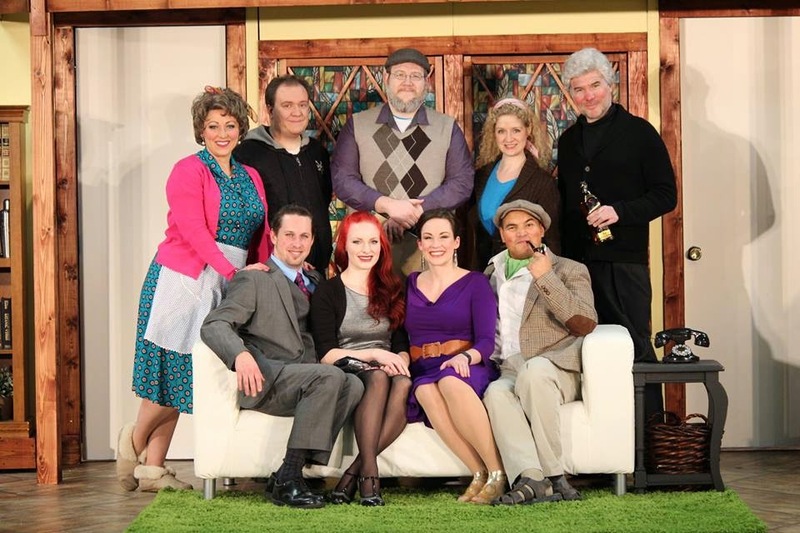 Noises Off, by Michael Frayn, is an absolutely wacky show-within-a-show where nothing happens, yet everything happens. In act one, the characters are learning their lines and blocking for an actual production. Act two leads us backstage to see the antics of the performers as they make their entrances and exits. The closing act shows us the absolute deterioration of the performances on stage due to the crazy mishaps off stage. There are shows that make you think and shows that make you laugh. I love the opportunity to sit back with a smile plastered across my face as my brain goes on vacation. All of the performances were perfectly flawed to fit the absurd antics of the characters designed to be larger-than-life. The true genius of Noises Off is found in the set design. Wow. In between each act, the crew and cast take apart the set and reconstruct it to show the backstage/on stage dynamic. You can see what a feat Midvale has produced in this 15-second hyperlapse video. Midvale Arts has also been doing an entertaining campaign with their Instagram account, which I suggest you follow here. Each day, a different cast or crew member takes over the instagram to show you what a day in their life is like, as well as their character's view from on stage. Talk about getting the inside scoop! I don't have anything eloquent to say except that this show is exactly what you need to cure the winter blues. I found myself with my hands on my face, watching with disbelief at the "I can't believe this is happening" moments in the third act. Each move is something straight out of America's Funniest Home Videos. You will end the night breathless from laughter and feeling like you got a great workout simply from watching the actors and actresses command the zaniness on stage. You have three chances left to see this show: 7:30pm March 5, 6, and 7 at Midvale Performing Arts Center (695 W. Center Street, Midvale). Ticket prices are $7 for general admission, $5 for seniors and children, family passes are available for $25 (one household.) Group discounts are available by contacting Producer, Stephanie Johnson. I would surely be going to watch this famous play whose name is Noises Off by Michael Frayn.I have heard so many fantastic reviews about this play that I has to go to witness it by my own.